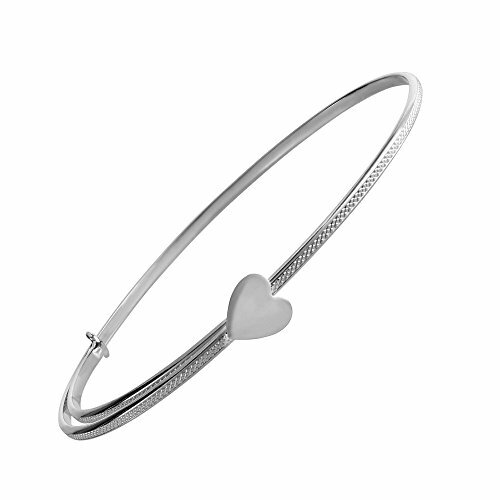 This kid's 14K white gold bangle bracelet features a high polished heart. Size is adjustable from 4 1/2 to 6 1/2 inches. Free gift packing and card available.